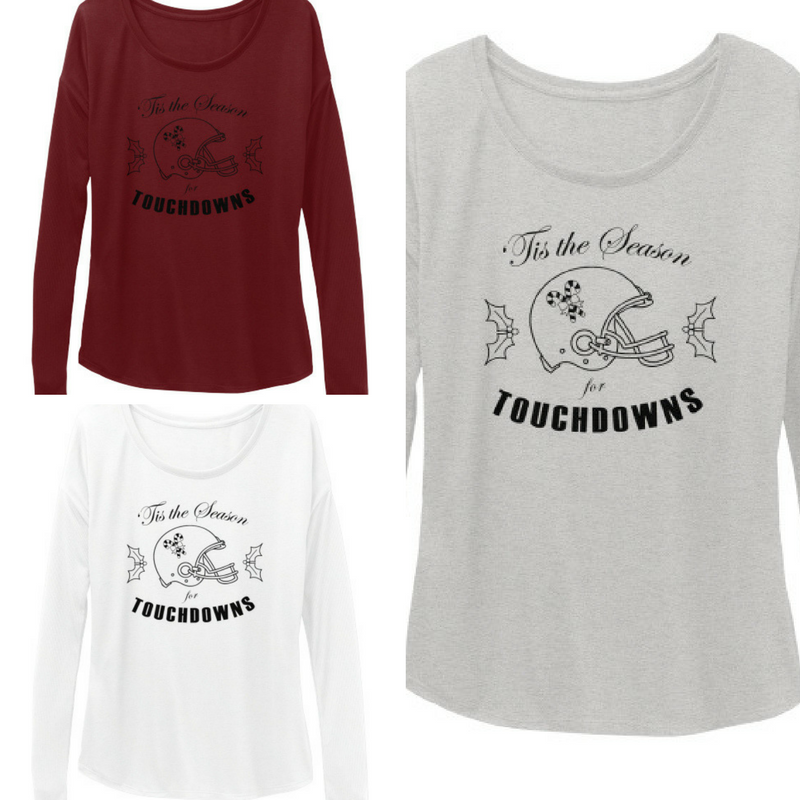 The Style Ref | The Fashion Authority for Work, Play & Gameday: TSR EXCLUSIVE: 'Tis the Season for Touchdowns ON SALE! TSR EXCLUSIVE: 'Tis the Season for Touchdowns ON SALE! 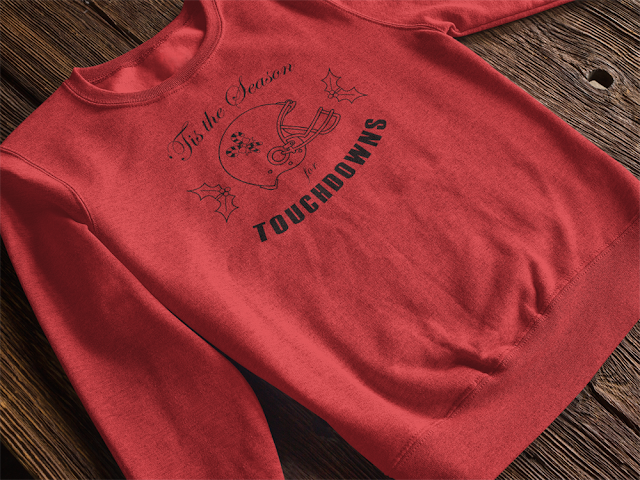 The holidays are a magical time for many reasons, but it's especially joyous for football fans. 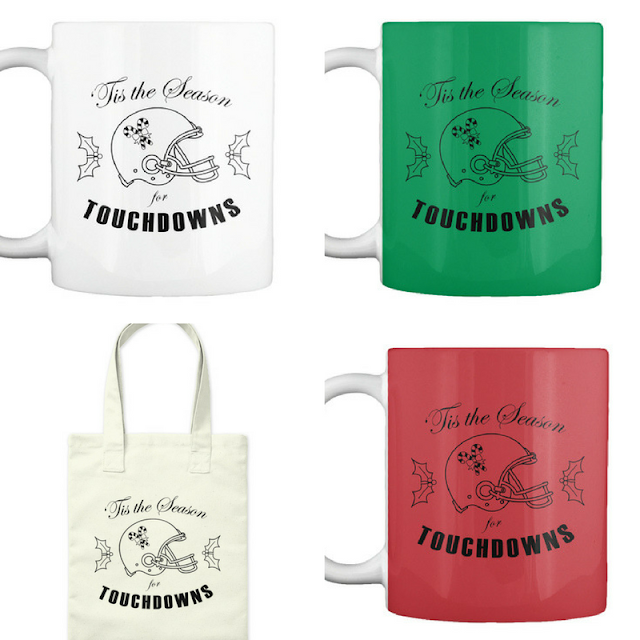 Between NFL and college bowl games, there's so much to watch and so little time to get your holiday shopping done. 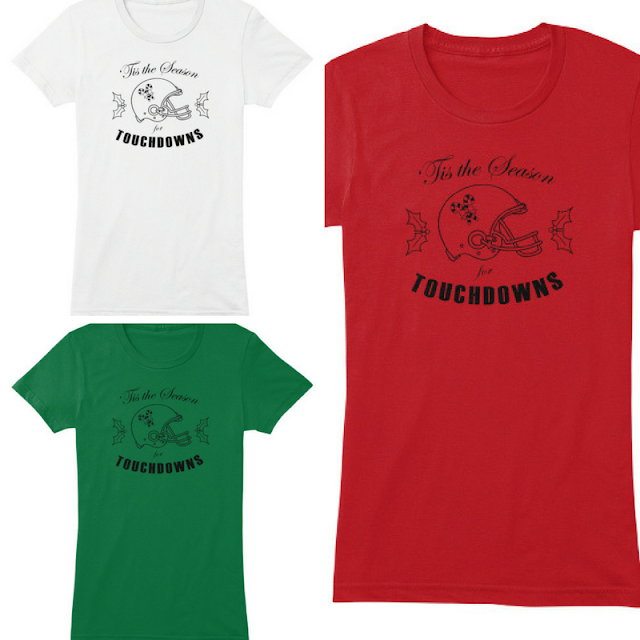 If you're looking for a fun, unique holiday gift for yourself or a female football fan on your list, Tis the Season for Touchdowns! I created this design exclusively for YOU, my readers, so you won't find it anywhere else. 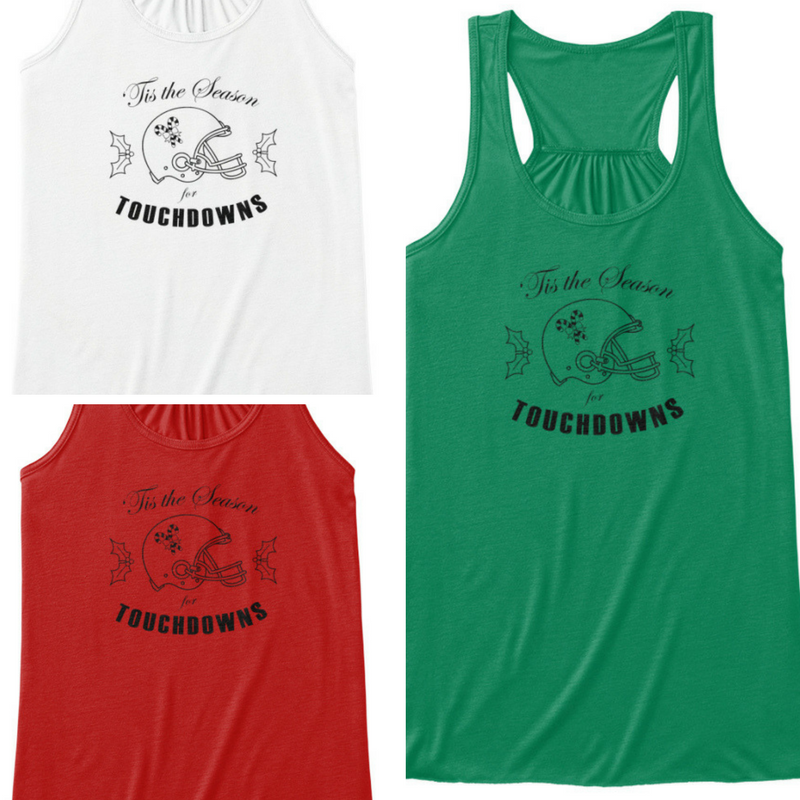 Choose from a t-shirt, tank, long-sleeve shirt or sweatshirt in festive colors as well as a mug and tote bag. 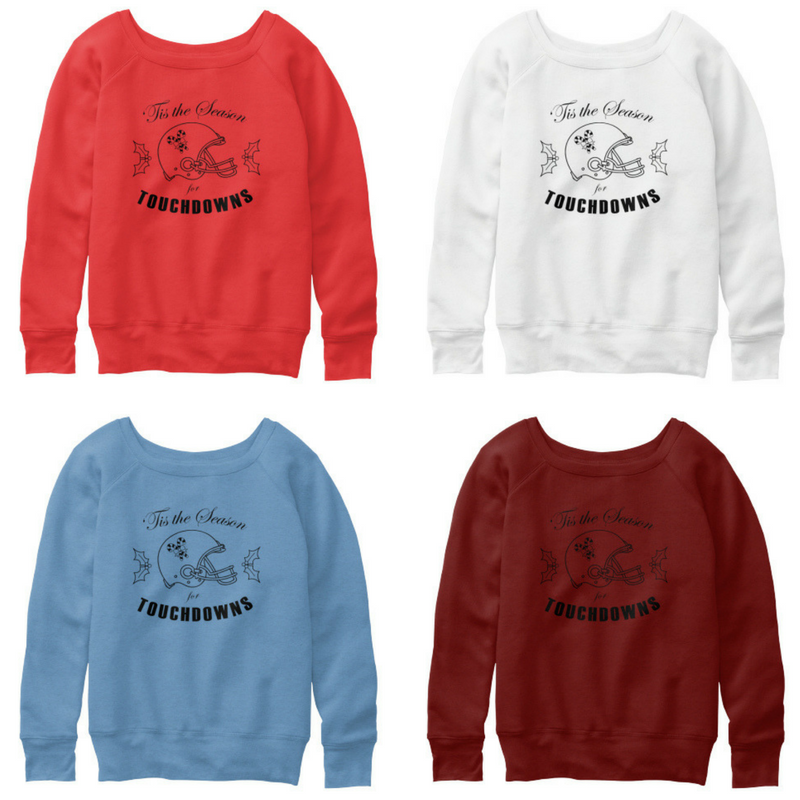 This offer is only available for a limited time until Nov. 21 and orders will ship by the end of November just in time for holiday gift-giving. 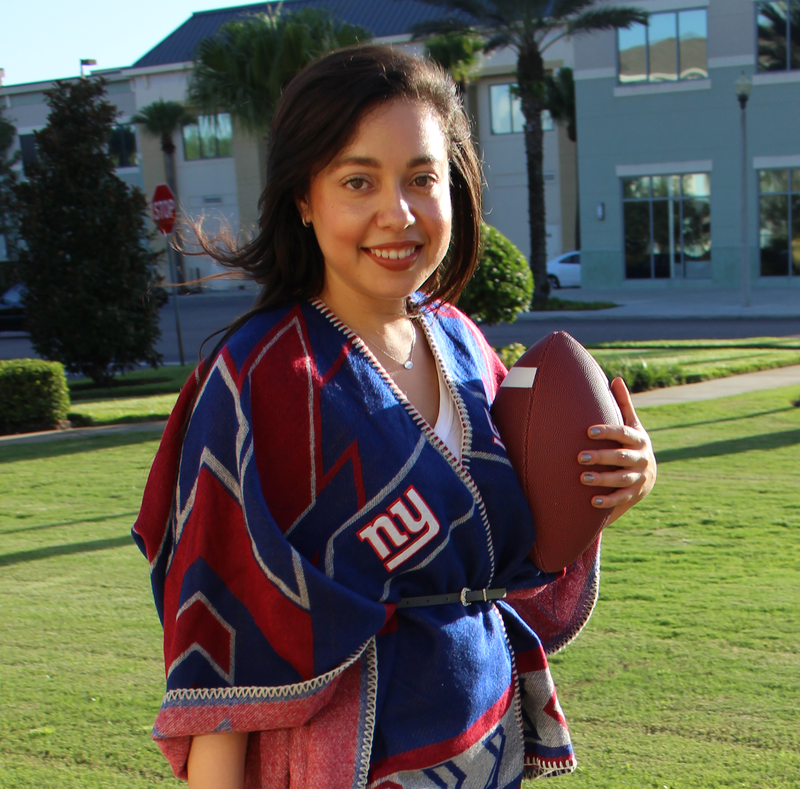 I personally can't wait to snuggle up in a cozy long-sleeve shirt with a mug of hot chocolate (and Kahlúa) while I cheer on my New York Giants and USF Bulls! Click here to order by Nov. 21! Which item is your favorite?